The UCLA Asian American Studies Center and Department have announced the appointment of Renee Tajima-Peña to professor of Asian American studies and to the Alumni and Friends of Japanese American Ancestry Endowed Chair, effective July 1. She will also direct the Center for EthnoCommunications at UCLA, housed in the Asian American Studies Center with a teaching component with the Asian American Studies Department. Tajima-Peña is currently a professor of film and digital media at UC Santa Cruz, where she has been instrumental in launching the Graduate Program in Social Documentation. Her films have premiered at the Cannes, Sundance and Toronto film festivals, and she has received the Peabody Award, Dupont-Columbia Award, Alpert Award in the Arts, USA Broad Fellowship and a Guggenheim Fellowship. Her current works are a documentary and transmedia project, “No Mas Bebes Por Vida” (No More Babies for Life), which is about the sterilization of Mexican-origin women at Los Angeles County-USC Medical Center during the 1960s and ’70s; and an interactive history documentary, “Heart Mountain 3.0,” using the Minecraft video game. Tajima-Peña has been deeply involved in the Asian American independent film community as an activist, writer and filmmaker. She was the first paid director at Asian Cine-Vision in New York and a founding member of the Center for Asian American Media (formerly National Asian American Telecommunications Association) in San Francisco. She was a film critic for The Village Voice, a cultural commentator for National Public Radio, and the editor of Bridge: Asian American Perspectives. 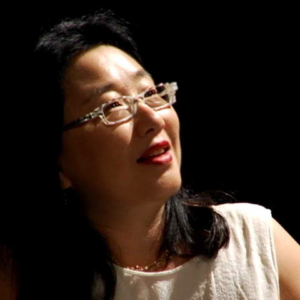 “We are thrilled that such a highly accomplished scholar and filmmaker will be joining the UCLA Asian American Studies community, and we look forward to working with her,” said David K. Yoo, director and professor of the Asian American Studies Center and Department, and Jinqi Ling, chair and professor of the Department of Asian American Studies.